Must be a guest of a current Chapter member. Please call 720-404-9874 or email jodi@cowyccim.org for your registration code. membership for the remainder of the year. 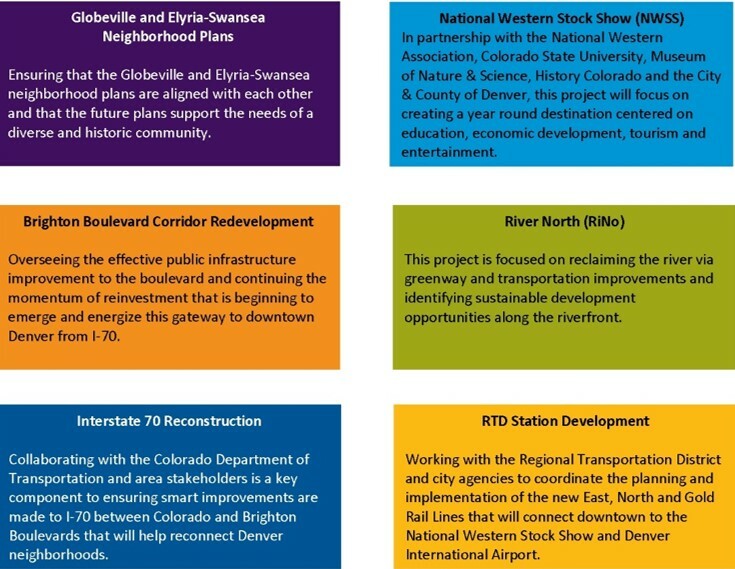 Denver has several major redevelopment and infrastructure projects taking place that provide a connection from Denver Union Station to Denver International Airport. Named the Corridor of Opportunity, the nearly 23-mile stretch is one of the most compelling commercial investment opportunities in the world, with thousands of developable acres. CO/WY CCIM Members gain insight into the 6 corridor projects, from the Executive Director of the North Denver Cornerstone Collaborative (NDCC), Kelly Leid. Additionally, they will participate in a walking tour of the Stock Show Complex initiative. With over 23 years of broad-based operations management experience, including 17-plus years in senior leadership positions, Kelly has worked across a range of highly visible public, private and nonprofit organizations. Much of Kelly’s work has been helping lead complex partnerships in the delivery of community improvement efforts, from stadiums to schools. 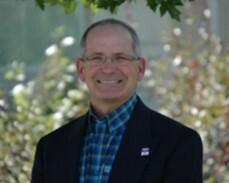 In January 2013, Mayor Michael B. Hancock appointed Kelly to serve as the Executive Director of the North Denver Cornerstone Collaborative (NDCC). Recognizing a convergence of upcoming projects in the Elyria-Swansea and Globeville neighborhoods, the Mayor identified an opportunity to energize a cornerstone of the Corridor of Opportunity and create a gateway to downtown by aligning individual efforts into one coordinated vision. Kelly manages the general oversight, planning, strategic coordination, financing and implementation of the six major projects totaling over 3,000 acres. The projects include neighborhood planning, the redevelopment of the National Western Stock Show, South Platte River, Brighton Blvd., multiple RTD transit stations and I-70 east from Brighton Blvd to Tower Road. From September 2011 through April 2013, Kelly served as Mayor Hancock’s Director of Development Services. With a staff of nearly 120, the department facilitates and supports the issuance of over 50,000 residential and commercial permits through the plan review, permitting and inspections process. The department plays a key role in the economic vitality of the City. Prior to his work for the City of Denver, Kelly served as the Director of Operations for Denver Public Schools, Colorado’s largest school district. He served on the Superintendent’s strategic school decision team and led a group that supported the start-up of new schools, shared campus and advancing efforts to transform school facilities for 21st century learning. The operations support team helped launch 28 new school programs that will at full build out serve nearly 8,000 students across DPS. Kelly graduated from Arizona State University with a degree in general business and a Masters in Public Administration. He also holds a Masters in Business Administration from the University of Denver. He has been honored by the Denver Business Journal’s “Forty under 40” as one of the up-and-coming business leaders and in 2007 as “Business Person of the Year” from the Aurora Chamber of Commerce for his work in educational reform along the eastern Front Range. Kelly is a 3rd generation Coloradoan, growing up in Northwest Jefferson County and currently resides in Unincorporated Arapahoe County with his wife and their two young children. Not a member, but would like to attend?